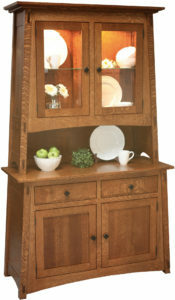 The Amish McCoy Four Door Hutch features slanted mission styling and solid hardwood construction. The four beveled, glass doors on the top will safely display your china, decorative pieces or even photographs. Turn on the LED touch lights and you can see your precious pieces even when it is dark out. 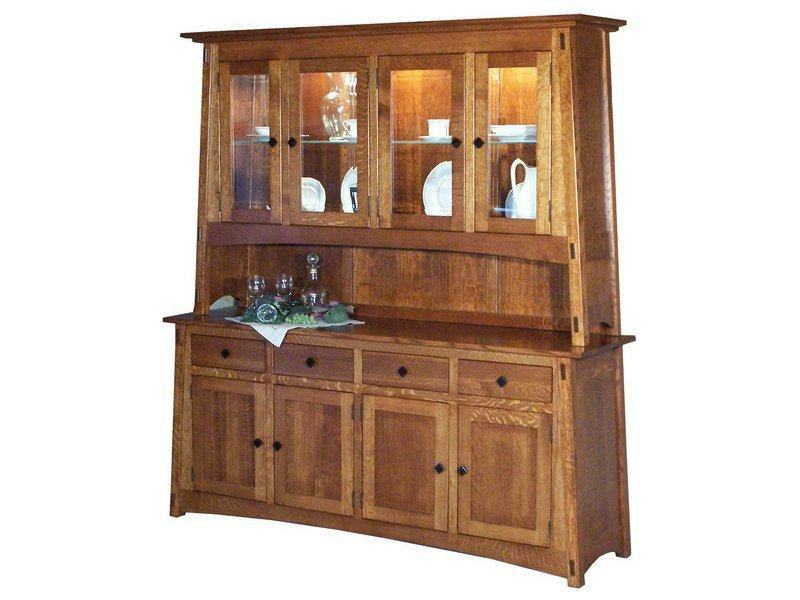 This Amish hutch is sure to add beauty and class to any dining room. There are even four additional solid wood doors to store all of those extra dishes, serving bowls or even glassware. Then, put your silverware or table linens in one of the four drawers and you will be ready for entertaining. For a quote, click on the “Customize This Product” button. 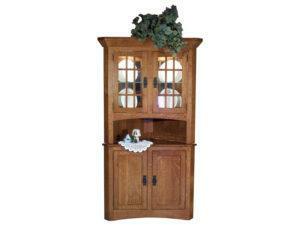 Then, choose from the wide selection of options available for this solid wood McCoy Four Door Hutch. Please visit us at Brandenberry Furniture in Shipshewana, Indiana. Then, you will be able to see a wide selection of our quality crafted solid wood hutches in person. Additionally, you can call or e-mail us with any questions you may have, for help in customizing this McCoy Four Door Hutch to meet your needs or for a complimentary price quote. We look forward to assisting you in any way we can.